The new video stays in line with the theme of the album. The video starts out with Numan stranded in a desert landscape as he wanders the post-apocalyptic wasteland in an outfit that looks like something out of Fallout or Mad Max. As for the song itself, there’s a similar apocalyptic sense as synths and industrial drums pound and screech around Numan’s vocals that sound like they’re echoing across the desert valley. The new album will be heavy with post-apocalyptic themes following a post-global warming Earth. The narrative is set after there is no technology and the Earth has been turned into a virtual wasteland. If you’ve watched Mad Max then this will all be familiar to you: food and water is scarce, society and civilization utterly collapsed, and humanity is reduced to animals simply fighting for survival. You can also catch his daughter, Persia, in the video as a stranded child in the wasteland along with some vocal duties on the chorus. While Numan was in the process, Donald Trump won the presidential election, and that was the inspiration behind Numan’s 22nd album. 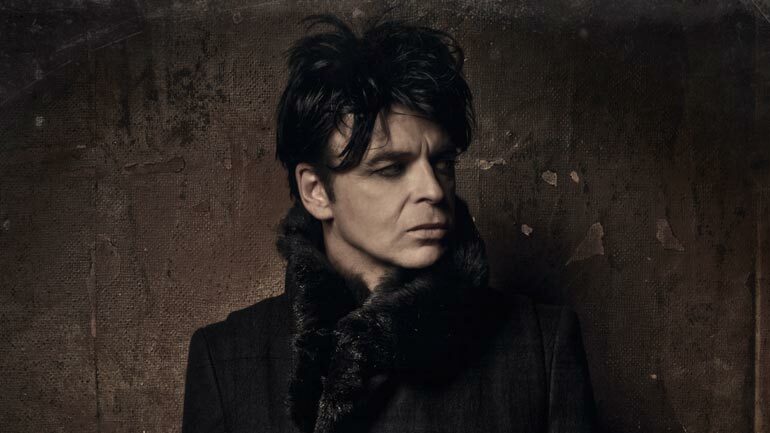 Numan worked on the album with producer and long-time collaborator Ade Fenton, and the two split recording sessions between Numan’s studio in L.A. and one in the U.K. The two’s work together stretches all the way back a decade when the pair worked on 2006’s Jagged, and the two’s creative chemistry is incredibly strong. “Ade is not only extrmeley creative, but ridiculously hard working, even in difficult circumstances,” Numan said. “It’s easy to discuss alternative ideas with him, he’s not precious about things and is always looking to make the music better, even if that means, on very rare occasions undoing his own work and starting again. Savage (Songs From a Broken World) is out September 15. Check out the new video and lead single below.